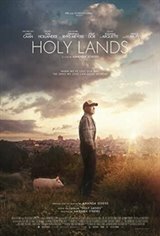 Facing a crossroads in life, Harry Rosenmerck leaves New York and his family with an unlikely plan to start a pig farm in Nazareth, causing the anger of local communities. His conflict with the town Rabbi, Moshe Cattan slowly turns into a friendship that leads him to reevaluate his relationship with his estranged family, including his difficult ex-wife, his 34-year-old student daughter, and his playwright son David. Through an emotional journey, this dysfunctional group will try to make their way back to each other, renewing ties when they all need it the most.